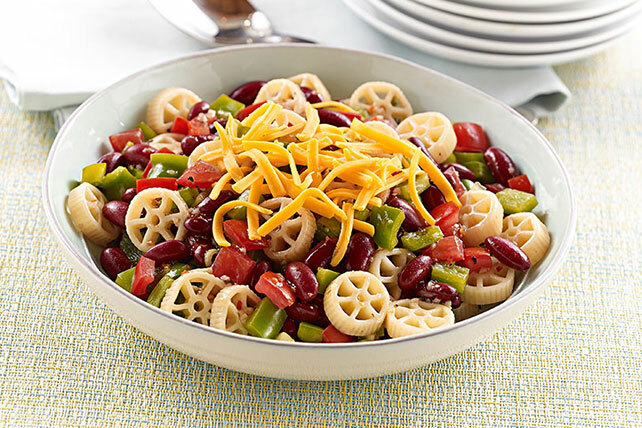 A medley of vegetables and beans puts the minestrone in this Minestrone-Style Pasta Salad. Combine first 5 ingredients in large bowl. Add dressing; toss to coat. Sprinkle with cheese just before serving; mix lightly. If pasta is used in a salad, rinse it under cold water immediately after cooking to prevent the pieces from sticking together. Drain well.